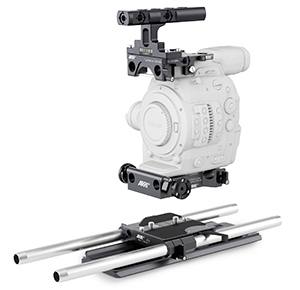 Miller Fluid Heads (Europe) Ltd.will debut its Cineline 2090 Tripod System to the European market at IBC 2015 (Stand 11.D30). The complete tripod system includes a new HD Mitchell Base 1-Stage Alloy Tripod and HD Alloy Ground Spreader to complement the robust Cineline 70 Fluid Head. This new system provides cinematographers with the stability, plus smooth and consistent pan and tilts that are a must, while offering additional portability all at an aggressive price point. Read more. Tiffen International will highlight the new top of the range M1 Steadicam and the Lowel PRO Power LED light at IBC 2015 along with many other new products across the range. 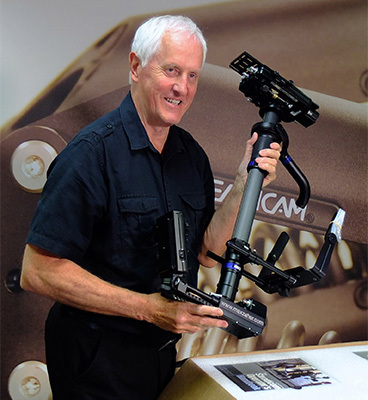 Steadicam operator/trainer Chris Fawcett will also demonstrate the M1 on Transvideo's stand, 11F31. Chris designed the Exovest™, now the Steadicam vest of choice for many. Read more. 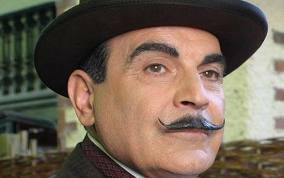 Drop by and see Robin Thwaites, Danny Hallett, Kevan Parker, Carey Duffy and Terry Carey on the Tiffen stand 10.C49. 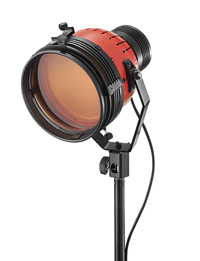 As well as the new Cineo HS2 range of lights announced recently, GTC sponsors LCA will be showing an interesting range of new products at IBC2015. They will also have there the Cineo Matchbox and Cineo Maverick lightweight portable phosphor fittings. 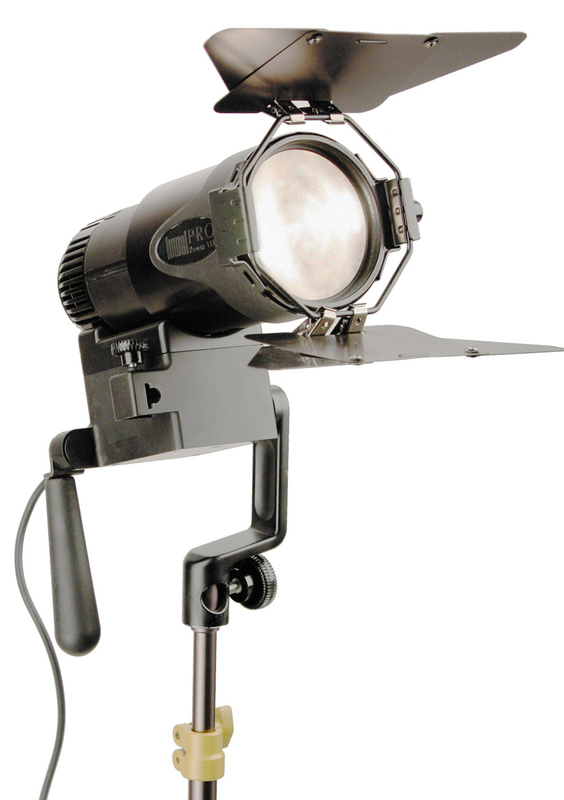 As well as the Cineo lights, there will be an innovative range of new products from LiteGear includingthe LiteMat (seen here), LiteRibbon and LiteDimmer range. Read more. Videosys and BBC Research & Development are proud to demonstrate the BBC R&D UHD wireless camera system at IBC this year. This 4K UHD radio camera was designed and built by BBC R&D, who are working with Videosys Broadcast to demonstrate the concept to a wider audience. The technology produces groundbreaking RF performance and high spectral efficiency using half RF technology with exceptional 4K pictures and low delay. It will be demonstrated throughout the show on the Videosys stand in hall 10 (F45). 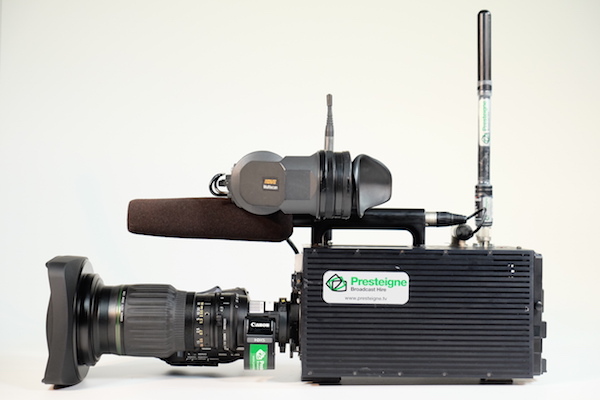 Presteigne Broadcast Hire has launched a new RF camera system, the SC100. 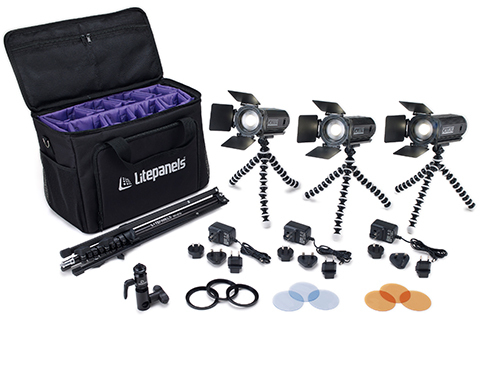 Aimed particularly at sports, the package includes a mount to fit a Steadicam rig, two-way low latency RF circuits, and the ability to colour match to all popular outside broadcast cameras for transparent intercutting with any outside broadcast unit. Polecam Systems will exhibit a new innovative remote head at IBC2015, a winning combination of Polecam + gimbal, extending further the range of remote head options for their lightweight, portable single operator crane system. 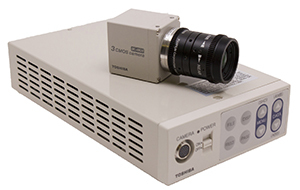 Also on show will be the very latest Toshiba minicams. Polecam Systems was recently appointed by Toshiba as their European Centre of Excellence for their range of broadcast products. Read more. 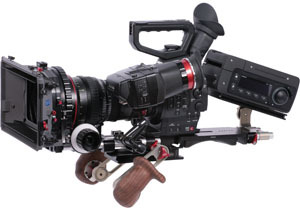 ARRI has announced a range of pro camera accessories for Canon C300 / C300 Mk II /C500 cameras. Designed specifically for Canon’s latest Cinema EOS cameras, ARRI PCA introduces a new cine plate for film set environments, an adjustable broadcast plate for documentary-style filming and a handy top-mounted support plate. ARRI’s range of Pro Camera Accessories (PCA) makes the benefits of ARRI-designed accessories available to cameras from other manufacturers. Read more. 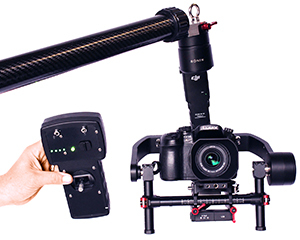 Mobile), a new approach to building your small/medium size camera kit from VMI. Aiming to increase flexibility, save cost and provide a more convenient packaging, GO FILM is suited to small cameras and 'Run'n'Gun' type productions. 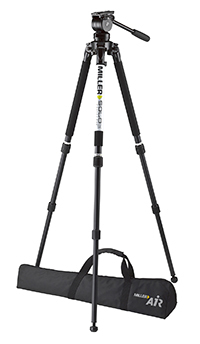 Miller will display their new Cineline 70 Tripod System, which includes a new heavy-duty Mitchell Base 1-Stage alloy tripod and alloy ground spreader to complement the Cineline 70 fluid head and also the compact, adaptable and robust Air Tripod System, at the 2015 SMPTE® exhibition (Stand L-20). 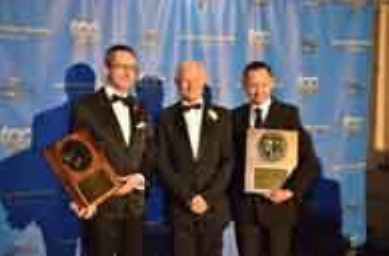 SMPTE Australia is the premier event for the motion imaging and television engineering industries in the Australasian region and this year takes place in Sydney from 14 to 17 July. 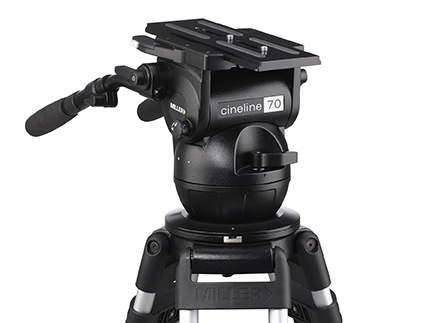 Read more about the Cineline 70 and Air Tripod System. 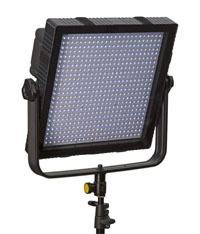 The ARRI SkyPanel is an exceptionally bright and versatile LED soft light. Offering tuneability from 2,800 K to 10,000 K as well as plus and minus green correction, vivid colour selection and saturation adjustment using the RGBW colour gamut, it can be controlled via onboard controls or remotely, and instantly, via DMX. See more about Sky Panel. The new CW-F25 Wireless HD Video System from GTC sponsor IDX provides the flexibility producers need to get the best shots back to base. 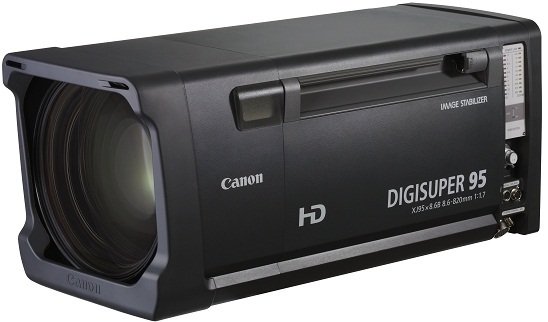 The system offers superior image quality transmitting H.264 High Profile video at up to 25Mbps. Read more. 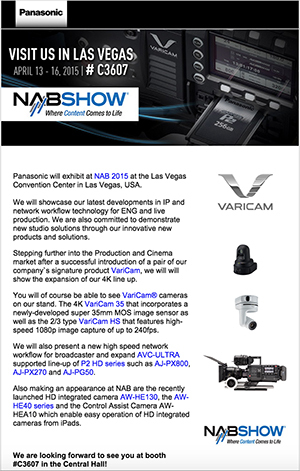 announce 38 new products at NAB2015, including an amazing new 4.6K image sensor with 15 stops of dynamic range for URSA cameras, three whole new cameras, a massive update to DaVinci Resolve, and a whole range of 12G-SDI products for broadcast, post production and live production. Read more. A new range of LED light fittings, the SkyPanel. With a design focused on form, colour, beam field and output, SkyPanel represents the culmination of more than a decade of research and development of LED technology. Read more. A new Anamorphic Ultra Wide Zoom lens (AUWZ 19-36/T4.2) that compleme nts the ARRI/ZEISS Master Anamorphic range to cover extreme wide-angle focal lengths between 19mm and 36mm. Read more. New ARRI pro camera accessories for studio matte boxes. These n ow include a new Triple Filter Frame and SMB-1 Adapter for SMB-2 Filter Stages, designed especially for the range of studio matte boxes. Read more. 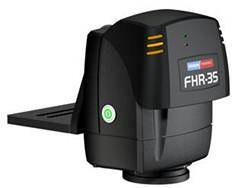 New camera and lens remote control tools including the cforce mini lens motor and ARRI Active Motor Controller AMC-1, developed incollaboration with cmotion. Read more. Transvideo and ARRI are collaborating on a specially adapted version of Transvideo’s StarliteHD 5” OLED monitor. 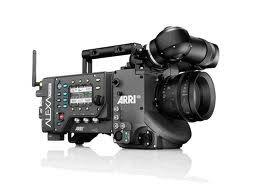 The resultingStarlite HD5-ARRI will be able to control the new ARRI ALEXA Mini and also theARRI AMIRA. Read more. 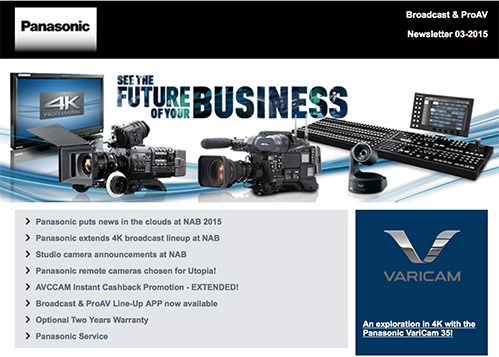 As well as the new VariCam profiled in the latest issue of Zerb, GTC sponsors Panasonic will showcase latest developments in IP and network workflow technology for ENG and live production. They will also show the recently launched HD integrated camera AW-HE130, the AW-HE40 series and the Control Assist Camera AW-HEA10, which enable easy operation of HD integrated cameras from iPads. Read more. 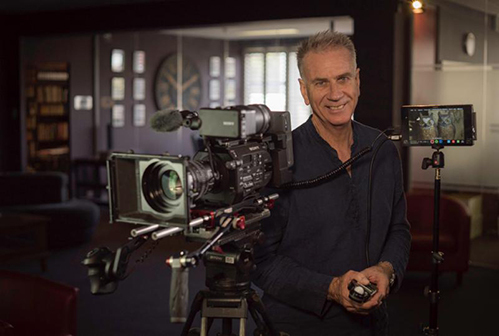 Internationally recognized cinematographer Pieter de Vries will pass on some tricks of the trade with the help of Miller Camera Support, LLC, a leader in the production of innovating camera support solutions, at the 2015 NAB Show (Booth C9520). At Miller's booth, the ACS-accredited director of photography, in partnership with Michael Abelev, Miller's design engineer and head of design team, will host a series of free master classes, open to all show attendees a nd targeted at those interested in learning some of the techniques that have made Pieter de Vries a sought-out documentary cinematographer. Read more. 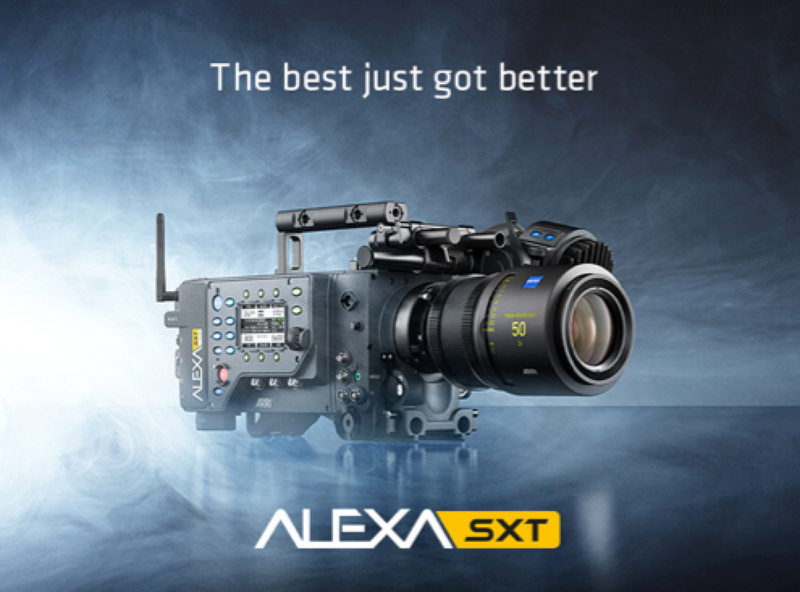 ARRI’s new ALEXA SXT (Super Xtended Technology) cameras represent the next exciting step in the continuing evolution of the ALEXA family. Retaining the rock-solid foundation on which ALEXA is built, ALEXA SXT cameras additionally offer ProRes 4K recording, improved image quality, powerful colour management and three fully independent HD-SDI outputs. Read more. 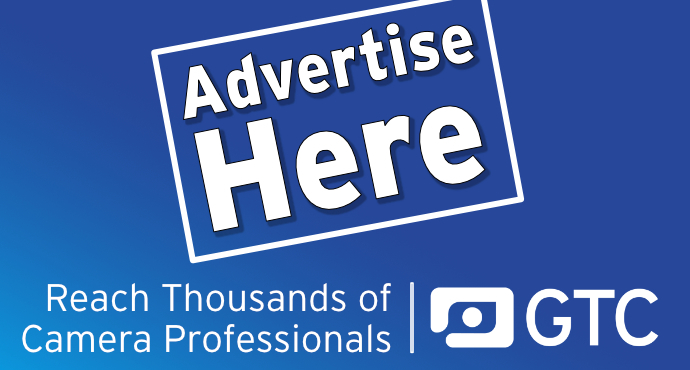 GTC sponsors PAG are launching their new PAGlink PL16 Gold Mount Charger at NAB 2015. A year ago, PAG introduced the first intelligent Gold Mount Li-Ion batteries that can be linked, in any state of charge, to provide greater capacities or a 12A current-draw; and the first that can be linked for more efficient charging. 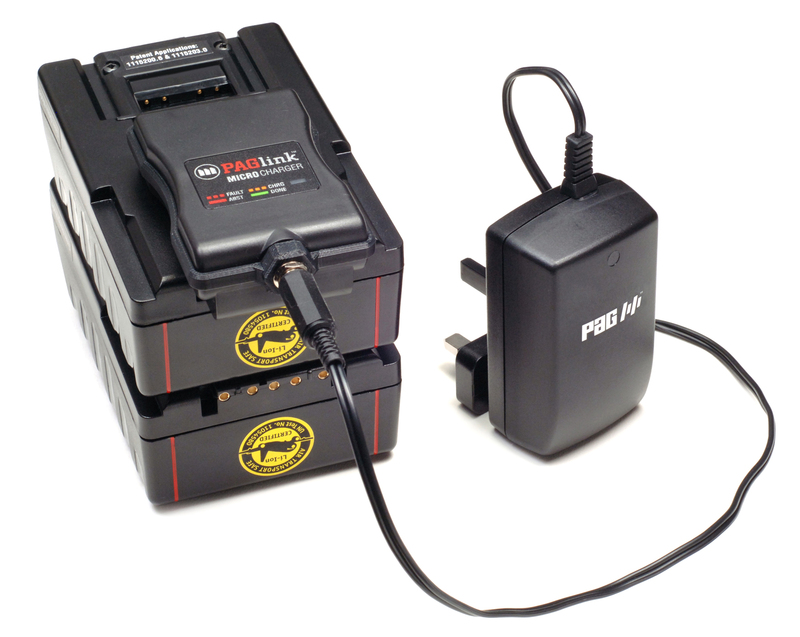 PAG’s new, ultra-compact, 2-position PL16 Gold Mount charger will charge simultaneously up to 16 PAGlink batteries, 8 on each position. Read more. Amongst all the other useful pages about products and the company etc if,like me, you like 'putting a face to a name', you can do so at http://presteig ne.tv/meet-the-team (where I particularly enjoyed the discovery that the faces turn from mono to colour when you hover over them - nice touch!). 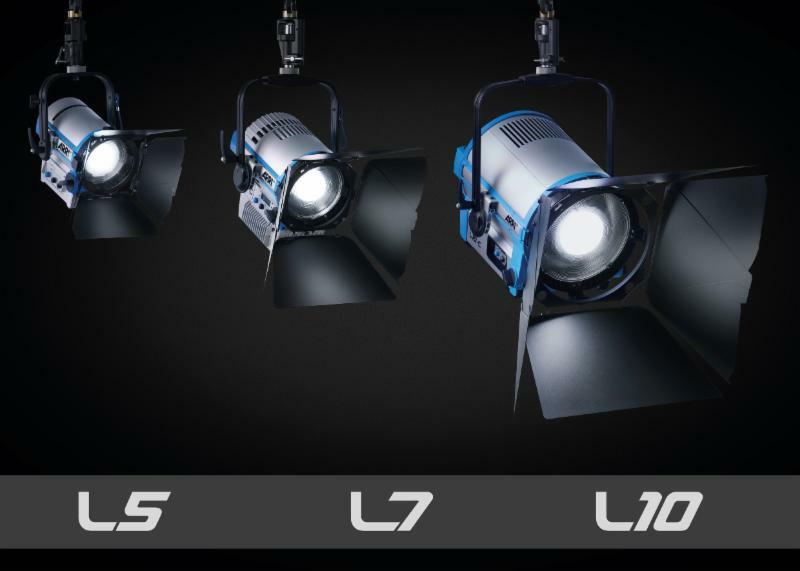 ARRI has announced the L10, the newest edition to the L-Series family of LED Fresnels, which includes the portable L5 and mid-range L7. The introduction of the L10 fulfills ARRI's mission to provide a full line of high-performance LED Fresnels to the film, television, theatre and live entertainment markets. Read more. ARRI has announced the upcoming release of Software Update Packet (SUP) 2.0 for the AMIRA and the subsequent release of SUP 3.0. 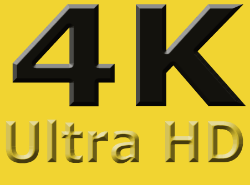 The former unlocks 4K UHD recording for high-resolution pipelines, while the latter enables MPEG-2 MXF recording for streamlined, broadcast-friendly workflows. Read more. And there's an update for the AMIRA too – SUP 11.0 is now available for download from the company’s website, free of charge. ALEXA's eleventh major update includes many new features, including an ALEXA ProRes 3.2K recording format for productions requiring 4K UHD deliverables, and ADA-5 – an enhanced debayering algorithm that further improves ALEXA’s image quality. Read more. Miller Fluid Heads (Europe) Ltd is set to showcase its robust Cineline 70 Fluid Headand Air Tripod System at BVE 2015 (Stand J26). Both camera support solutions embody the essence of the brand with their unwavering durability and agility that is essential for today's on-the-go broadcasters. Read more. 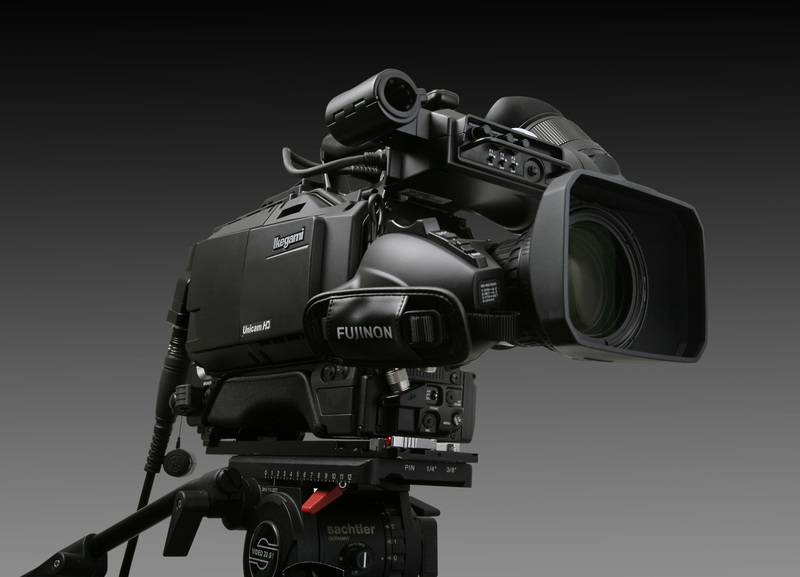 Ikegami's HC-HD300 makes its first UK exhibition appearance at BVE 2015 in London, February 24-26. Now deliverable, the HC-HD300 is a highly flexible docking-style camera for studio or field operation. Read more. RED Digital Cinema continues to revolutionize the world of digital still and motion cameras with the 6K RED DRAGON sensor. Boasting over 19 megapixels, a new color science and higher dynamic range, the DRAGON sensor takes EPIC and SCARLET to the next level – as well as the broadcast industry. 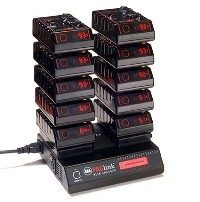 Read more about RED and at Interbee. Vice President Ed Stamm will oversee a new ARRI Rental office in Atlanta which is now open for business. Besides promoting the ALEXA 65 system, exclusively available at ARRI Rental, Ed will ensure that the company's extensive inventory of digital, film, anamorphic and spherical camera equipment is available to this vibrant production community. See more. ARRI has announced the 10th free software update for ALEXA, released in October following an open beta that began in August. 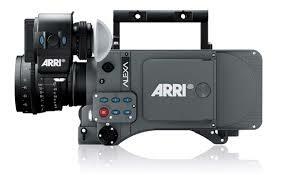 It is available at www.arri.com/camera/alexa/downloads. The many features in Software Update Packet (SUP) 10.0 have been chosen based on feedback from set visits and a continual dialogue with cinematographers, assistants, DITs, rental and post houses, and ARRI partners. At its launch, ALEXA was promised to be a future-proof system, hence the feature set has evolved with changing shooting practices and needs. Read more. 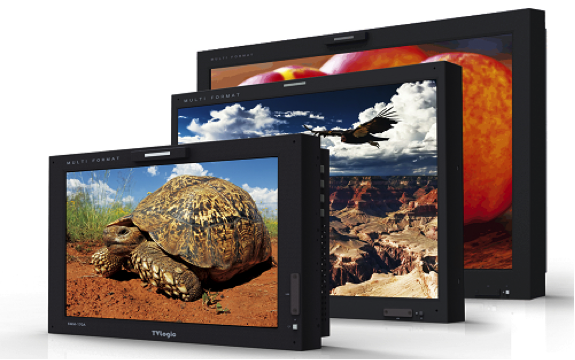 TVLogic, designer and manufacturer of broadcast and professional displays, will exhibit two new high-brightness monitors for field production, two 4K/UHD monitors, an additional 24.5’’ OLED monitor, three studio wall monitors and four rack monitors at IBC 2014. TVLogic combines the latest FPD technology with their advanced video processing designs to provide professional displays that meet the demanding requirements of broadcast, production, post-production, digital signage and multi-viewer applications. The 12 new models will join TVLogic’s multi-award winning range of professional video monitoring solutions. Read more. Ikegami is expanding its portfolio of image display products to encompass the full range of operational requirements from high-end Grade One broadcast reference monitoring to general production applications. 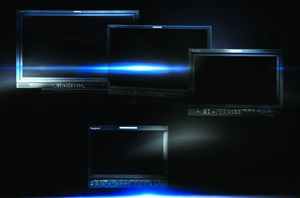 Four new monitors will be introduced at IBC2014 in Amsterdam. Read more. During IBC2014, from 12 to 16 September 2014, at RAI in Amsterdam, Vocas will show its newest products and prototypes. This year special attention goes out to the new AJA CION accessories, 19 mm universal lens support, Sony Alpha A7 compact bracket, ARRI AMIRA adapter plate and - most excitingly - a new Follow Focus! Vocas will be located at the usual spot, hall 11 stand E34, with a brand new stand! Read more. 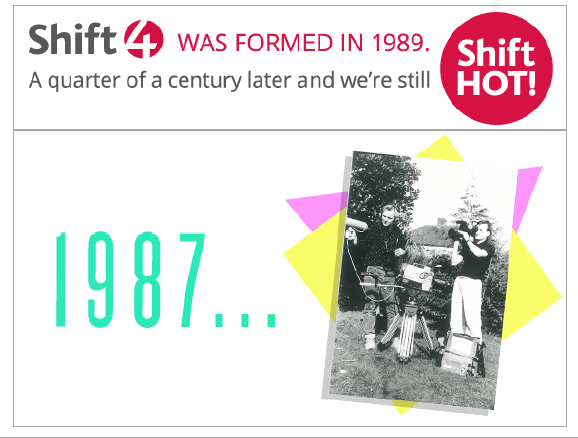 Shift 4 are 25 years old and offer this entertaining history of their company and the surprising derivation of the name! Sound recordist Neil Burn and camera operator Spike Geilinger are TV-AM staﬀ who join the infamous 24 hour technician’s strike of November 1987, protesting against a change in their terms of employment. See more Shift 4 history. 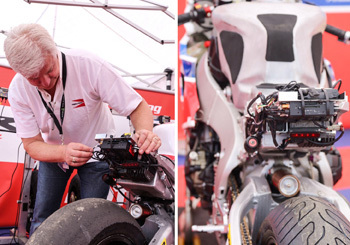 Over 25 cameras and solid-state recorders from Camera Corps captured the excitement of 2014 Isle of Man Tourist Trophy motorcycle races during the two-week event from Saturday May 24 to Friday June 6. Working with North One Television for ITV 4, Camera Corps provided a wide range of specialised equipment including forward and rear-facing motorcycle-mounted cameras, approach and recede kerb-cams and various high-level wide-angle cameras around the course. See more. ARRI is announcing support for the new Apple ProRes 4444 XQ, the highest-quality version of ProRes to date, which is designed to preserve the incredible detail in high-dynamic range imagery through high-end video post-production. ProRes 4444 XQ will be available in the next Software Update Packet for ALEXA cameras. See more. Endura CUE is the new battery range from IDX that combines superb reliability atlower cost. The Lithium Ion battery range has been designed to meet the most stringent PSE regulations for electrical and mechanical safety. 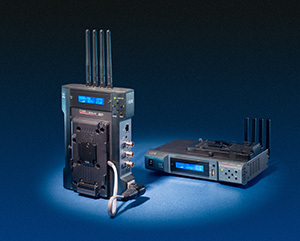 Thanks to the latest advances in microchip technology and improvements in battery design and build, the range provides the benefits broadcasters need at a more affordable price. See more. After the success of the Tecpro Felloni LED fixture, Cirro Lite is delighted to announce the arrival of the Tecpro Felloni DedoColor range. The new Felloni DedoColor range boasts greatly improved colour reproduction on skin tones and excellent colour rendering of colour critical objects. See the Felloni DedoColor brochure. 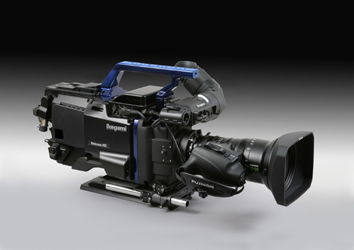 New system represents elite marriage of technologies, combining ARRI large format Super 35MM CMOS sensor with Ikegami Unicam HD docking style camera. See more. Ianiro International has announced a major addition to its LED line-up, with the arrival of the red head-style Varibeam LED. Sony announced at IBC2013 its first SSD and HDD portable storage range. The PSZ-SA25 SSD drive, PSZ-HA50 and PSZ-HA1T HDD drives will be available from September 2013. Read more about Sony's new portable storage range. 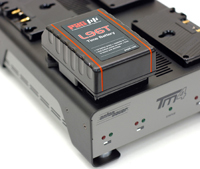 PAG has introduced two new versions of its Gold-Mount compatible broadcast battery. See more about the new PAG batteries. See more about this deal. 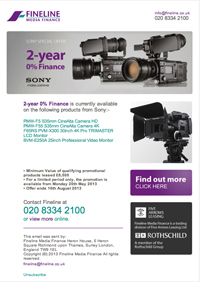 Includes: latest training courses; VMI supplies ARRI Alexas for Poirot; the new Sony PMW-F5 and PMW-F55 are due to arrive in February; cage systems for the C300, FS700 and DLSR... and more. Read more here. 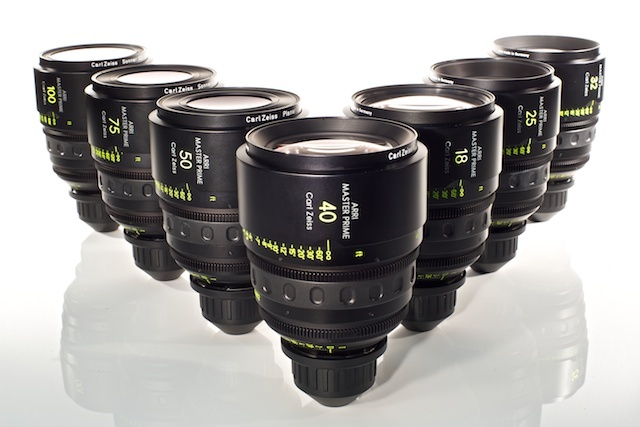 VMI have recently taken delivery of the latest Zeiss MasterPrimes for hire - click here to find out just why these lenses are so good and to see the range of primes now available from VMI. 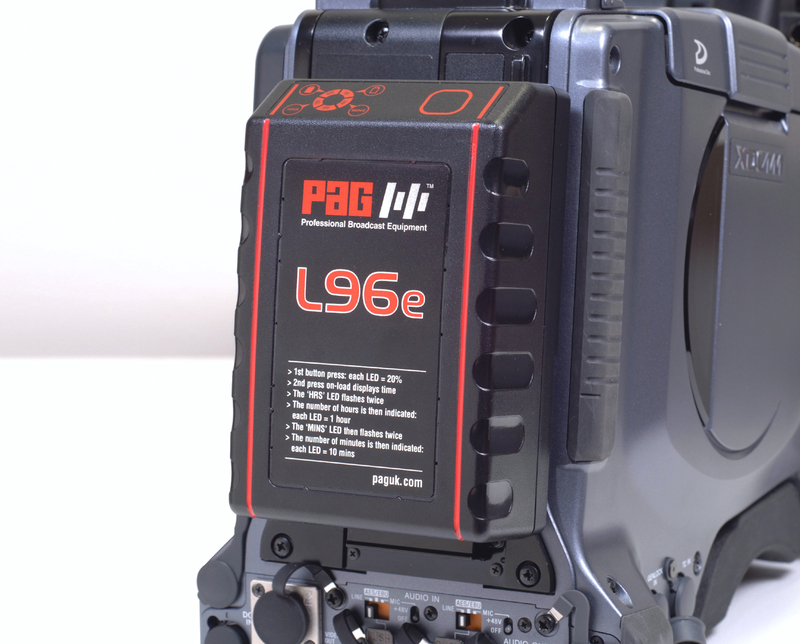 PAG has announced the PAG L96e Li-Ion battery, an enhanced version and replacement for the company’s popular L95e. 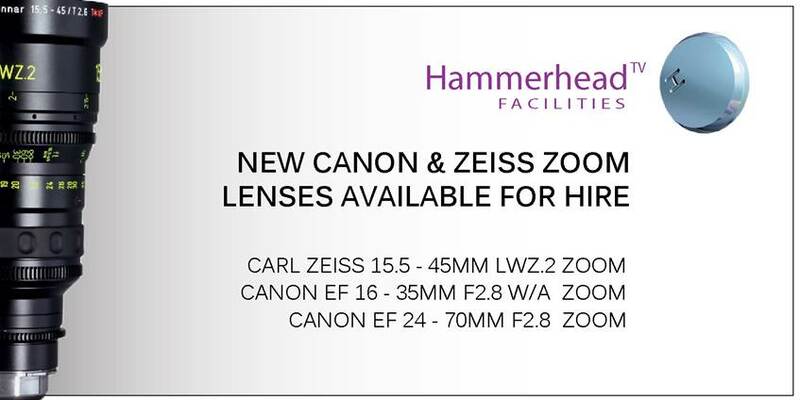 29.02.12 – New Canon and Zeiss lenses available for hire from Hammerhead Facilities. 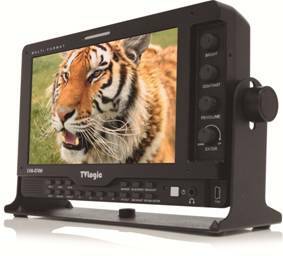 NEW recently released TVLogic compact, lightweight LVM-074W HD LCD 7 inch field monitor - already proving popular with broadcasters.